Indians fall prey to heart diseases more than the people living in western countries. Every year, 17 to 20 lakh people die of heart attack in India reason being lack of physical activity and consuming food having high fat content among people. As the world observed World Heart Day, city doctors cautioned people and advised to better wake up then never. Dr Siddhant Jain and Dr Mohammad Ali informed people that every year 1.75 crore people risks various types of cardio-vascular diseases, which is more than the total number of deaths due to malaria, HIV-AIDS and tuberculosis collaboratively. 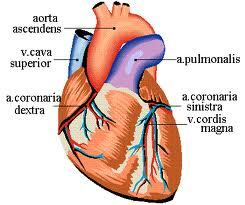 It is not only men who develop heart disease but out of three women one dies of heart diseases. Even young population too is at risk due to their changing lifestyle. Doctors suggested few changes which could possibly avert the risk of developing heart disease. They urged people to indulge few minutes daily in physical exercises and get routine health check up done so as to diagnose the rising problem at initial stages.